Let us call this a ‘Flingback Friday’ post, shall we? 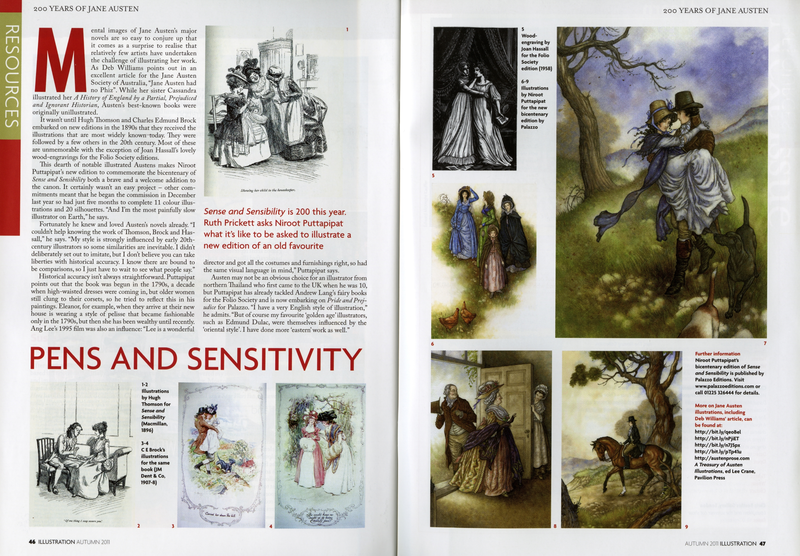 When I illustrated the bicentenary edition of Jane Austen’s Sense and Sensibility for Palazzo Editions back in 2011, Illustration Magazine ran a small feature about it and previous illustrated editions of the book in their Autumn 2011 issue. Due to some mishap or other, I never received a copy of the issue at the time, but the situation has been rectified and I’m finally able to share the article. Pens and Sensitivity. Illustration Magazine, Autumn 2011 issue. The article mentions my preparing to work on the bicentenary edition of Pride and Prejudice, as planned by Palazzo at the time. 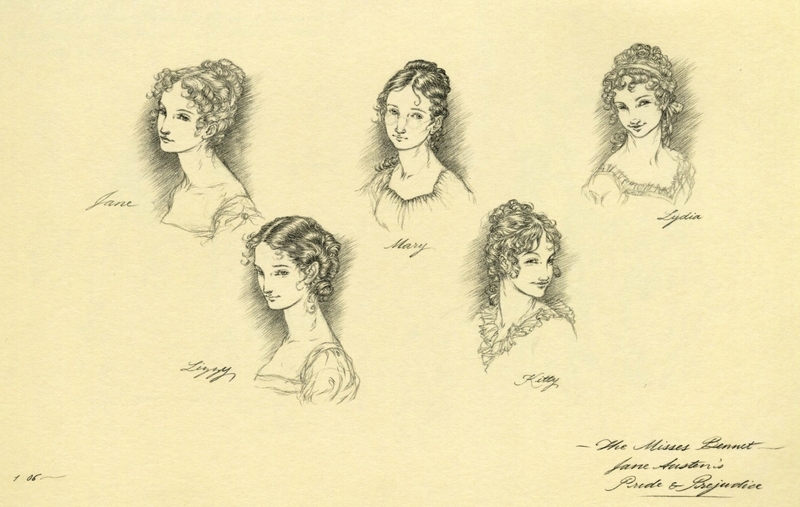 Unfortunately, as some readers may be aware, sales for S&S were so poor that the project to illustrate the bicentenary editions of all of Austen’s novels had to be sadly abandoned. Emma Woodhouse, Harriet Smith and Mr Elton. Pen & ink and watercolour on 140lb/300gsm Arches hot pressed, 287 x 202mm. 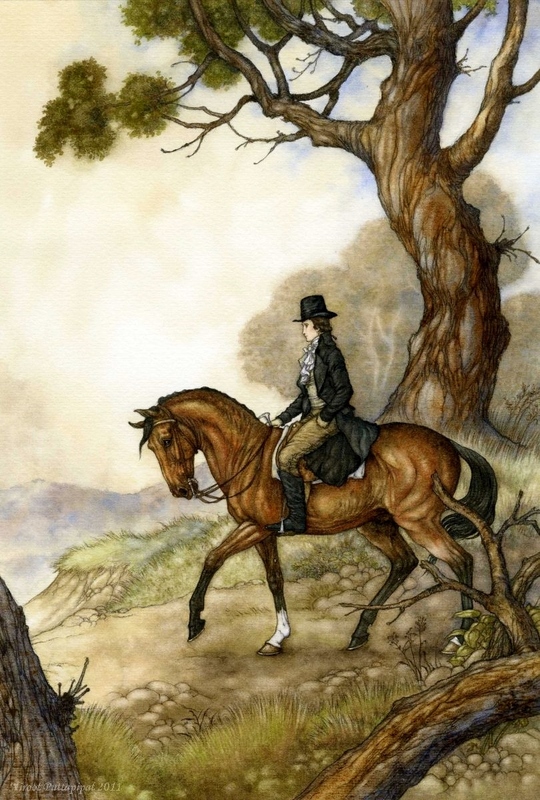 Illustration for Jane Austen’s Emma, published by the Folio Society, 2007. 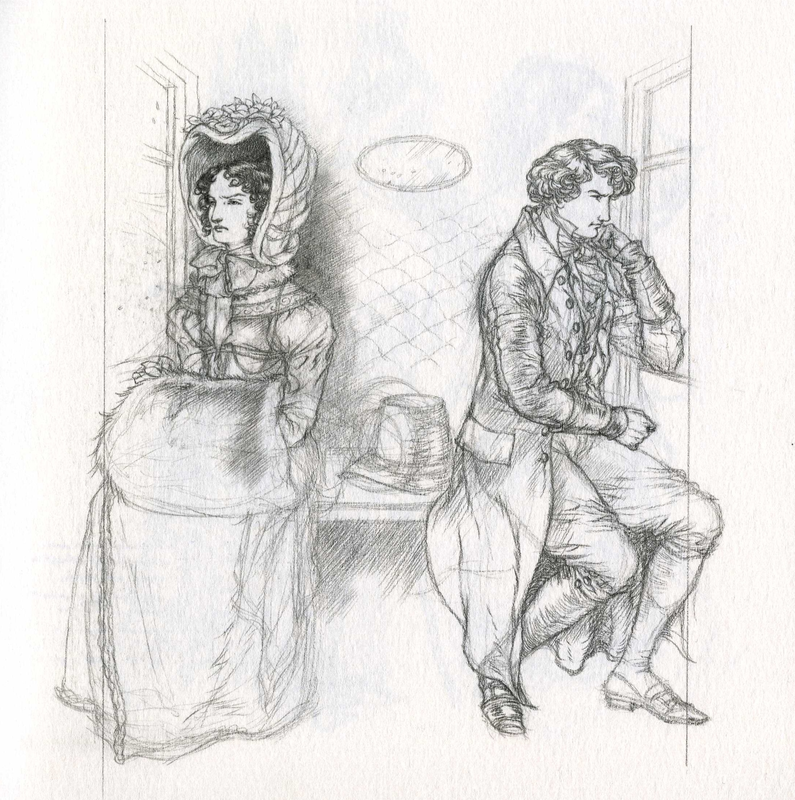 This is the only illustration I’m happy with from this book, and one of the (increasingly) few pieces from the three Austen novels I did for Folio that I can still stand. Though I would alter Harriet’s feet now (in fact, the more I think about it, the more I feel it must be done, past work notwithstanding). It was displayed at the British Library in the Folio Society Gallery as part of the exhibition, ‘A Houseful of Books: 60 years of the Folio Society’ in 2007. At the private view, one lady very kindly told me that it was her second favourite illustration of the exhibit, her most being an illustration for Tolstoy’s Anna Karenina by Angela Barrett, which, incidentally, was my own favourite piece there. I couldn’t have been more flattered. Watercolour with a little gouache on (old) Fabriano cold pressed watercolour paper. Edward Ferrars’ final visit to Barton Cottage — to propose to Elinor. 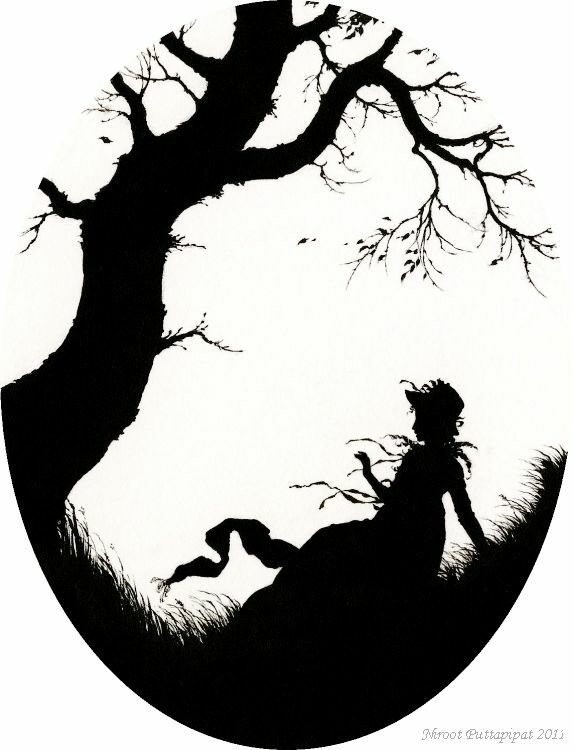 Illustration for the Bath Bicentenary edition of Jane Austen’s Sense and Sensibility, published by Palazzo Editions, 2011. Another older piece to keep the Year of the Horse theme ticking over. 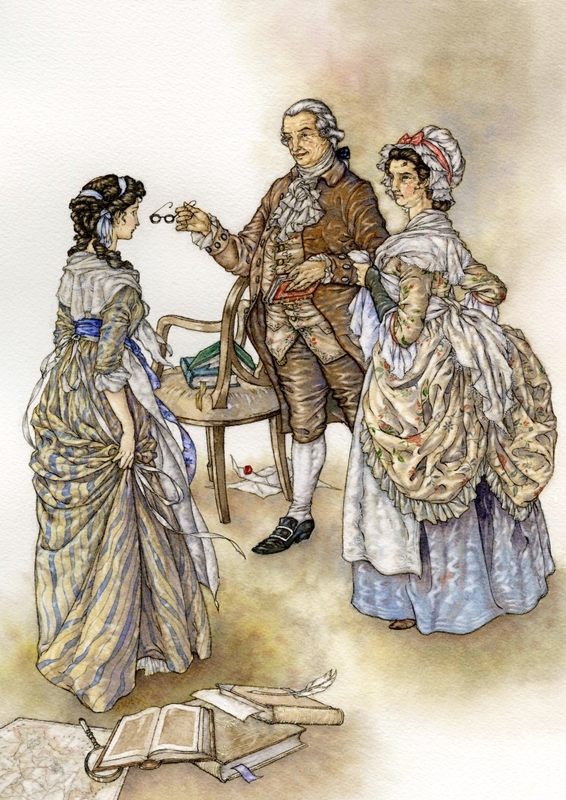 Illustration for the Bath Bicentenary edition of Jane Austen’s Sense and Sensibility, published by Palazzo editions, 2011. Ink on Fabriano Artistico hot pressed watercolour paper. An older piece recalling some of the work with which I first began this blog (before lapsing into absence for a while at the time) just to keep things ticking over here on a fairly regular basis. 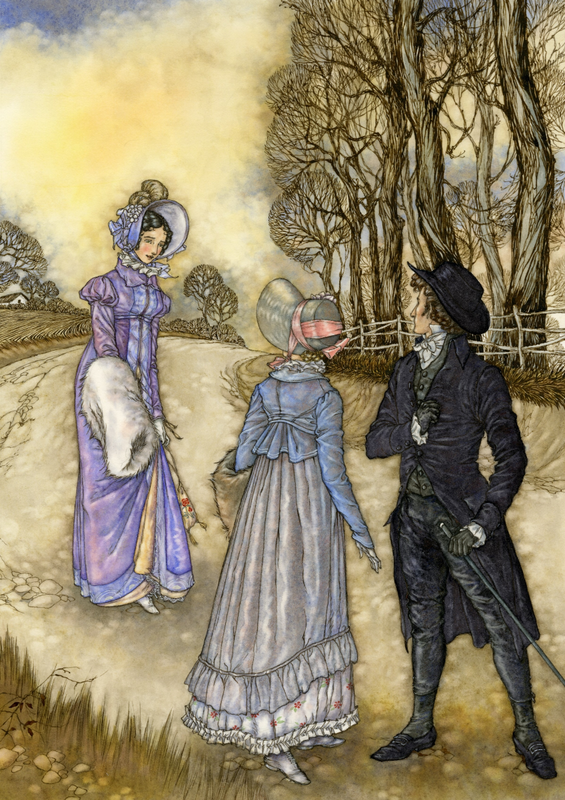 Illustration for for bicentenary edition of Jane Austen’s Sense and Sensibility, published by Palazzo Editions, 2011. I managed to scan some progress stages for this illustration, so I thought I might share those too. There is still time to book tickets if you can make it to the book launch on Wednesday! I will be at the Celebrating Jane Austen event as part of the Bath Festival of Children’s Literature on Wednesday 28th September to launch the publication of the bicentenary edition of Sense and Sensibility, and will be signing copies of the book. The main event itself will be a discussion about Austen with a panel of enthusiasts, chaired by writer, teacher and passionate Austenite, Katharine Reeve. Tickets for the event are £5. For further details and to book, please visit the Bath Box Office. If anyone is interested and able to attend, do introduce yourself; it would be lovely to see you!